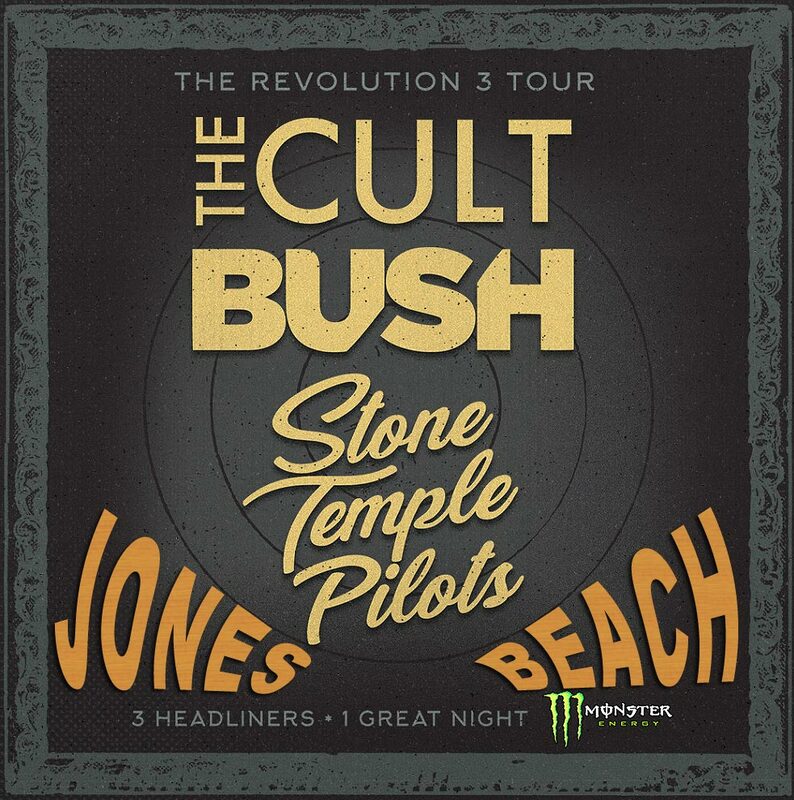 Three bands, Three titans of alternative rock that helped define the sound of alternative rock will come together soon for the first time in "Revolution 3" in a "tri-headlining" tour format, which unites the Cult, Stone Temple Pilots and Bush for a series of summer dates with a stop at Jones Beach on Friday, July 27 tix: http://STP.jonesbeach.com - each act will take turns in the top billing for what's being described as a "revolving headlining run" that makes room for full sets from all three artists. Members of Bush, the Cult and STP (including new singer Jeff Gutt) were all on hand for a Revolution 3 Tour launch party on April 3 in Los Angeles. "We are looking forward to seeing everybody in the summer. This is a great tour for rock fans," enthused Bush frontman Gavin Rossdale in a press release, with Stone Temple Pilots' Robert Deleo chiming in, "We are thrilled to join our friends this summer to celebrate our music with all of you." .. Cult leader Ian Astbury added, "We look forward to celebrating glorious summer nights of responsible (and irresponsible) hedonism with all of you."